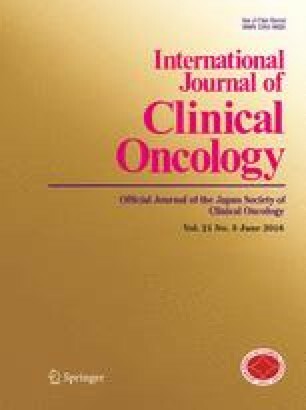 This phase I study was designed to determine the maximum tolerated dose (MTD) and toxicities of combination chemotherapy with docetaxel, cisplatin, and 5-fluorouracil (5-FU) in patients with locally advanced squamous cell carcinoma of the head and neck (SCCHN). Patients received two cycles of chemotherapy repeated every 4 weeks. Starting doses (dose level 0) were: docetaxel 60 mg/m2, cisplatin 60 mg/m2, and 5-day continuous infusion 5-FU 600 mg/m2 per day. At least three patients were examined at each dose level before advancing to the next level. Nineteen male patients (median age, 59.5 years) were enrolled. Eighteen patients had previously untreated stage III or IV SCCHN and 1 had local relapse, rT4. In the 19 patients, the regimen was well tolerated, with neutropenia as the most common toxicity (grade 3; n = 11; grade 4; n = 1). Dose-limiting toxicity (DLT) was observed at the fifth dose level (docetaxel 70 mg/m2, cisplatin 70 mg/m2, 5-FU 750 mg/m2 per day), when 1 patient developed grade 2 renal toxicity during the first course; another 2 patients had persistent neutropenia. These doses were thus deemed the MTD for the regimen. In the 18 assessable patients, the overall clinical response rate was 94% (17/18 patients) and primary-site complete response (CR) occurred in 4 (22%) patients. The MTD of this regimen was docetaxel 70 mg/m2 on day 1, cisplatin 70 mg/m2 on day 4, and 5-FU 750 mg/m2 per day for 5 days. The regimen was safe and generally well-tolerated and demonstrated good efficacy in patients with locally advanced SCCHN.